The Big Sioux Water Festival has collected many activities over the years. We have organized them into Lesson Plans, Experiments, Puzzles & Games, and Brain Teasers. We're always looking for water-related activities to add to our collection. If you have any you would like to add, please contact us! What activities do we have? Click on each button below to find out! 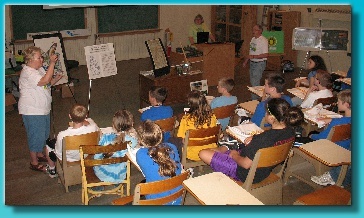 Are you a teacher that attends the Big Sioux Water Festival? Interested in signing up for an educational trunk or kit to use in your classroom? .....then click here!